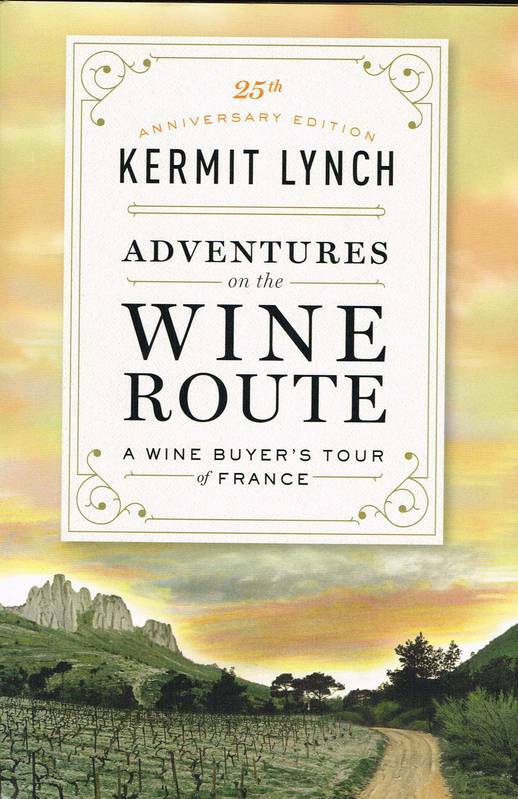 When Adventures on the Wine Route was first published, Victor Hazan said, "In Kermit Lynch's small, true, delightful book there is more understanding about what wine really is than in everything else I have read." A quarter century later, this remarkable journey of wine, travel, and taste remains an essential volume for wine lovers. In 2007, Eric Asimov, in The New York Times, called it "one of the finest American books on wine," and in 2012, The Wall Street ournal proclaimed that it "may be the best book on the wine business." In celebration of its twenty-fifth anniversary, Adventures on the Wine Route has been thoroughly redesigned and updated with an epilogue and a list of the great wine connoisseur's twenty-five most memorable bottles. In this singular tour along the French wine route, Lynch ventures forth to find the very essence of the wine world. In doing so, he never shies away from the attitudes, opinions, and beliefs that have made him one of our most respected and outspoken authorities on wine. Yet his guiding philosophy is exquisitely simple. As he writes in the introduction, "Wine is, above all, about pleasure. Those who make it ponderous make it dull. . . If you keep an open mind and take each wine on its own terms, there is a world of magic to discover." Adventures on the Wine Route is the ultimate quest for this magic via France's most distinguished vineyards and wine cellars. Lynch draws vivid portraits of vintners—from inebriated négociants to a man who oversees a vineyard that has been in his family for five hundred years—and memorably evokes the countryside at every turn. "The French," Lynch writes, "with their aristocratic heritage, their experience and tradition, approach wine from another point of view... and one cannot appreciate French wine with any depth of understanding without knowing how the French themselves look at their wines, by going to the source, descending into their cold, humid cellars, tasting with them, and listening to the language they employ to describe their wines? Here, Kermit Lynch assures a whole new generation of readers—as well as his loyal fans—that discussions about wine need not focus so stringently on "the pH. the oak, the body, the finish," but rather on the "gaiety of the way "the tart fruit perfume [s] the palate and the brain?